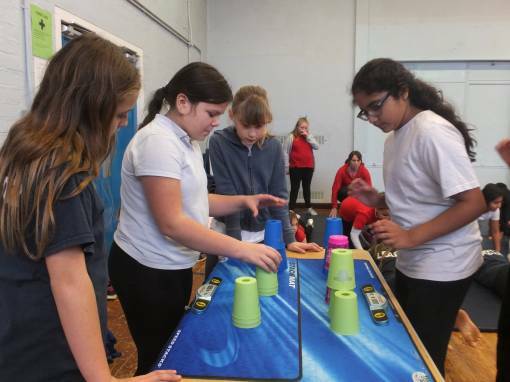 Y5/6 girls from Queensway, Hanwell Fields, St. Leonard’s, The Grange and Hillview spent the morning at Wykham Park Academy on Thursday 29th November at a ‘This Girl Can!’ festival. The focus of the festival was self-belief and the girls showed this in abundance as they gave it their all throughout the morning. They all had a go at archery, speed cup stacking, trampette, cheerleading, archery and skipping challenges. Well done to all the girls for taking part! Thank you to the Y8 and Y9 girls who planned and ran the activities. They pitched everything at a perfect level and made the morning a huge success.